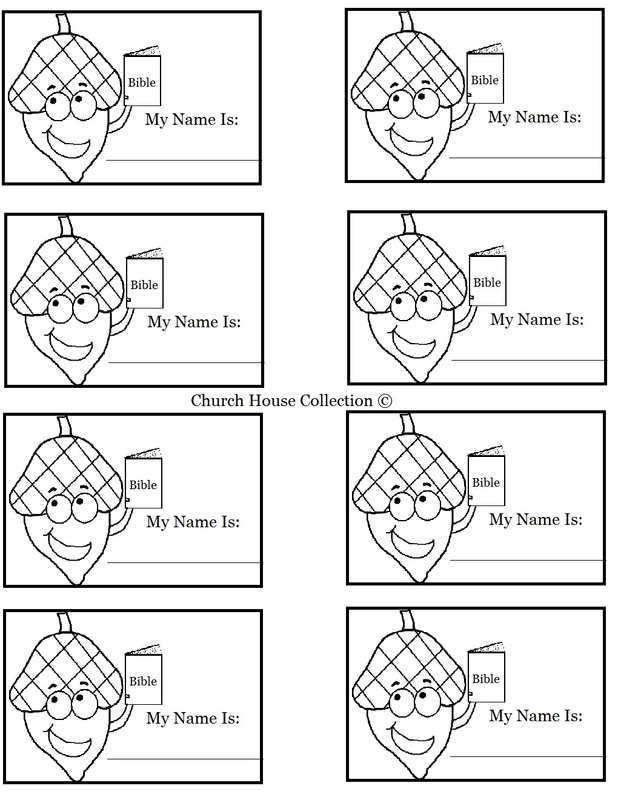 These are free printable acorn name tags. This comes with two different print out templates. One has a picture of an acorn holding a bible with the word "BIBLE" written inside of it. The other template has a picture of acorn holding a book with no words on it. You could print these out and cut them out and hand the child their name tag and let them color it first. Then laminate these and add a pin through it to pin to their shirt. Or you could use tape to tape it to the their clothes. You could also print these on Peel and Stick paper. They sell this at Walmart or you can find it online. Just print the template off using this peel and stick paper and then cut out the name tags. When you are ready to use it then just peel the back off and stick to the child's shirt. Write the child's name on the line. 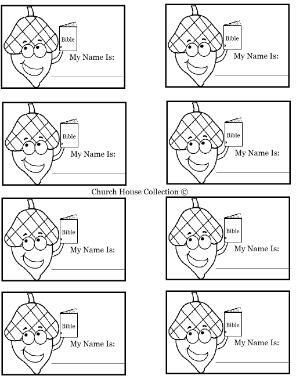 Use these name tags to go along with our Acorn Lesson Plan.